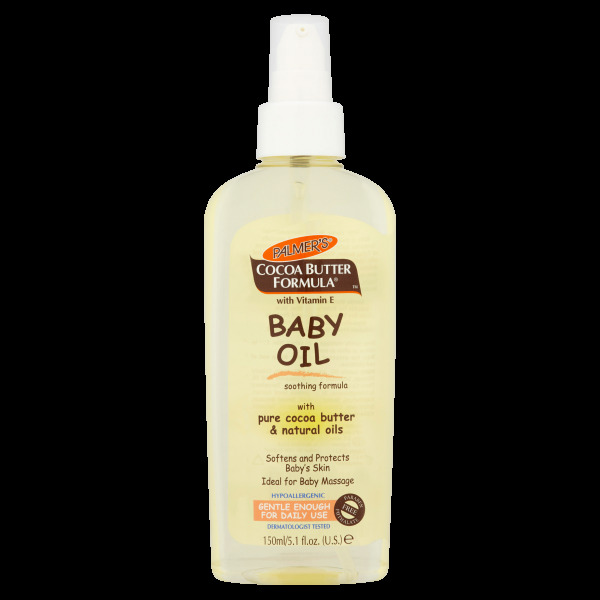 Palmer's® Cocoa Butter Formula® Baby Oil is a moisturizing baby oil specially formulated for baby's dry skin. A unique blend of Pure Cocoa Butter, Vitamin E and other natural oils helps deliver powerful benefits to lil ones' delicate skin. 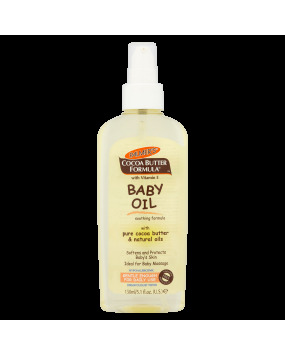 This hypoallergenic baby oil softens and protects and is gentle enough for daily use. Lightweight, non-greasy and non-staining. Perfect for a soothing baby massage. Gently massage into baby's skin. Can be used daily or as often as needed.